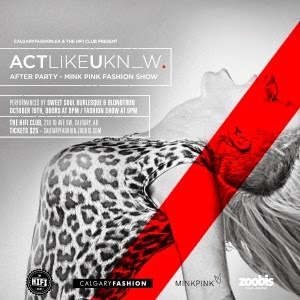 ACTLIKEUKN_W is a bi-monthly series created by the Fashion Editor for Calgary Fashion, Kimberly Jev. The goal of the event is to connect the thriving fashion scene in Calgary with key decision makers on a national and international level, opening the door for up and coming professionals in the fashion industry. Have you ever inspired to be a model, or are you an up and coming model in the fashion industry in Calgary? Then this event is for you. For it's first series , ACTLIKEUKN_W has collaborated with Canadian super model Stacey Mackenzie for a two day model intensive workshop to inspire, empower and educate aspiring models as part of her award winning workshop WALK THIS WAY. 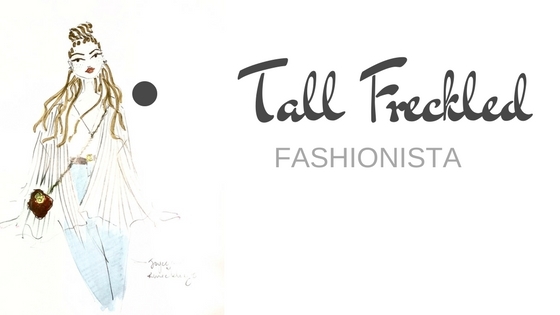 After many years in the fashion industry, Stacey Mackenzie knows what it takes to be successful in the fashion industry and her goal is to share, advice and inspire up coming models. This event is taking place on October 17th and 18th from 6-10pm at the Le Germain Hotel in Calgary Alberta. Tickets to attend the ACTLIKEUKN_W Walk This Way Workshop with Stacey Mackenzie are available here. On the 19th, there will be a VIP afterparty featuring MINK PINK + SWEET SOUL BURLESQUE + BLONDTRON at the Hifi Club in Calgary.If you chose to only attend the VIP afterparty, tickets can be purchased here.